If your best friend loves to have a dip, then Bagnalls beach is the place to be seen. 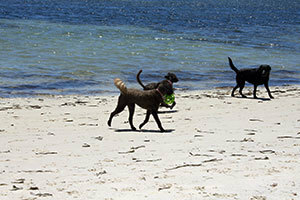 The beach is located between Nelson Bay and Corlette and there are 3 parks that will get you access to the beach. One off Government Road and two off Sandy Point Road. 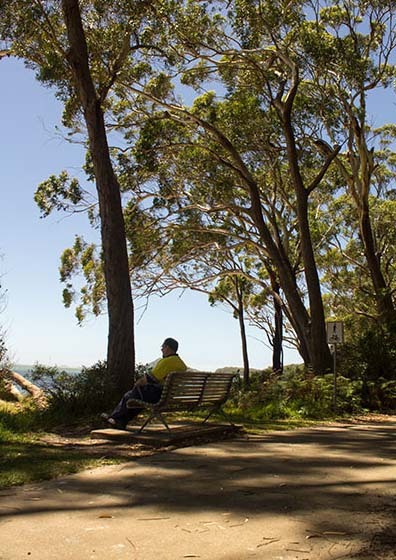 The 3 parks are connected by a walking cycling path which goes through the Bagnalls Beach reserve. 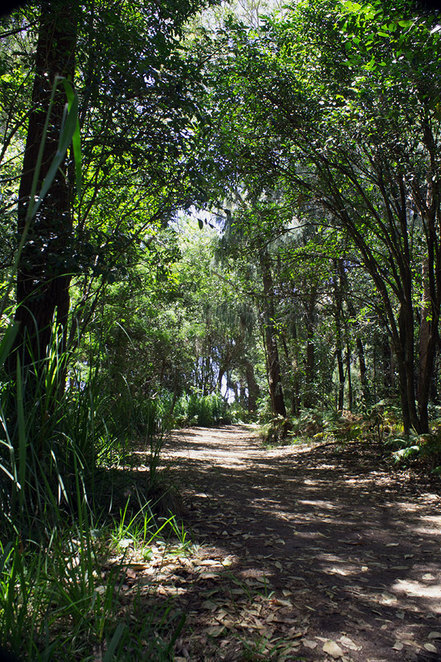 This bush land between the road and the water front has plenty of beach access points along the way. There is also some well placed seats for a rest along the track or just to go and enjoy a sunrise or sunset over the water. You will find plenty of birds along this path as well as some flowers and great views. There are toilets at the centre and east parks for you and FREE BAGS for you to clean up after your best friend. Fresh water for the dogs is also available here. So please keep the beach clean so everyone can enjoy this place. The beach is best visited closer to the high tide as this area is very shallow for around 200 m and the water can be a little way out on low tide. 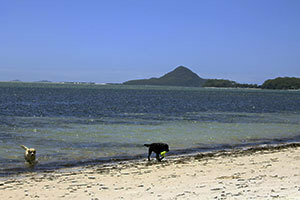 There is little current or big waves to worry about so your dog and kids can have a safe swim. There is a little weed in the shallow water but this is home for the fish that the kids can swim and snorkel with or you could try and catch dinner while the dogs play. I visit this place regularly and there is almost always some dogs having fun and meeting other pooches. So bring your best friend for a good time a run and a swim they will love you for it. Where are the Best Playgrounds around Nelson Bay, Port Stephens? What are the Best Things to do at Corlette Beach?